Welcome to another edition of Words for Thought. This time around, the stories are all about new worlds, new modes of existence, and shifting to new ways of thinking after encountering the unknown. The Cold, Lonely Waters by Aimee Ogden in the March issue of Shimmer is a gorgeously poetic story of three mermaids on an interstellar journey. The world they left behind is devoid of humans and no one knows why, whether they, too, left for the stars or killed themselves off. In the end, it’s loneliness that drives the mermaids outward from Earth, not curiosity. But fear plays its part in the story, too, as fear always does. The story perfectly captures the idea of fear of the unknown, undertaking a journey with no guarantee of success, and no idea what lies on the other side. The imagery throughout the story is lovely, and the mermaids themselves are unique, two being seal-like, and one jellyfish-like, adapted for different types of water. The ending of the story, however, holds the potential for darkness. After the long journey across the stars, the surviving member of the crew ends up in what appears to be an aquarium, a curiosity for humans who made the journey across the stars, and may die for lack of saltwater if she can’t communicate. The bleakest interpretation is that humanity failed to learn from its mistakes. After burning up one planet, we went to another where we continued dominating any life forms we encountered, using them for food, entertainment, and resources. But Ogden leaves the ending open, allowing for a more hopeful interpretation. Perhaps the mermaid will make herself understood and a new era of scientific harmony and cooperation will unfold on a distant planet. Terra Nullius by Hanuš Seiner (translated by Julie Nováková) published at Strange Horizons in late March is a story of discovery and exploration, told in a narrative that shifts back and forth between a solo explorer and a military platoon on a distant planet. The planet is inhabited by simulacra, vast creatures that live in the rivers, and contain entire ecosystems. The military is in the midst of a long war with the young of the planet. An expedition is mounted to explore the simulacra in order to better understand the life on this world. The landscapes encountered by the explorers are fantastic in all senses, as are the illusions of life created by the simulacra – star fields made of bioluminescent plants, replications of the native and human life on the planet, including recreations of members of the military team themselves. Like Ogden’s story, Seiner’s is rich in descriptive language and stunning imagery. Beyond the language, Seiner offers up a truly alien mode of being, as well as learning and communication. The story calls into question the line between reality and illusion, at times echoing the unanchored feeling of exploring a new world – neither the characters nor the reader are fully grounded, drifting and making their way through the landscape together. Also similar to Ogden’s story, Seiner leaves the ultimate question of peace or continuing war open. However there is a hopeful feeling overall. Despite the military presence, the team seems to be trying to understand the life on the planet in order to end the war, rather than looking for ways to destroy their enemy. Ultimately, they decide in favor of knowledge over fear, and open the capsule, discovering a human who manages to communicate through a combination of pictures and the telepathic field. Seaweed, as they nickname the human, reveals the reason their memories only extend so far. Octopuses were “uplifted” by humans, given greater intelligence in hopes they would clean the oceans humans polluted. The majority of humanity journeyed to another planet, leaving a few augmented humans behind, hoping they might one day return to a clean world. Like Ogden’s story, we see the darker side of humanity, using and abusing the planet’s resources, and using other species for their own gain. The note of hope in this story comes from the implication that through the telepathic field, octopuses will change the way humans think, playing a long game, and employing a unique reproductive strategy to make humans more like themselves, the way humans once did to them. The story offers an interesting exploration of communication, collective memory versus individual memory, and the way humans and octopuses both use tools, or might be used as tools in turn. 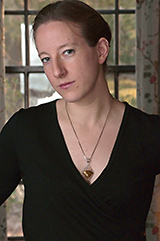 And Then There Were (N-One) by Sarah Pinsker in the March/April issue of Uncanny provides a different take on the idea of new worlds through the existence of multiple realities. The premise of the story is both wonderful and strange; a character who shares the author’s name is invited to a conference full of alternate versions of herself in order to explore the divergence points between their realities. What could have been merely a fun or silly story becomes much darker when one of the Sarahs is murdered. The narrator, an insurance investigator, is asked to look into the death as the only person with remotely relevant experience, since the police are unable to get to the island where the conference is being held due to a storm. While Pinsker does have fun with the idea of multiple realities and multiple versions of herself, overall, the story is more contemplative in nature. Most of us at one point or another have asked ourselves how our lives would be different if we’d done X instead of Y. The story explores this in great depth, from small changes to big ones. Pinsker asks the reader to consider how much about a person must change before they are no longer the same person, and how much can be different while at their core they are recognizably the same. The fundamental oddness of being in a place full of people who are essentially you runs throughout the story, as does the idea that every moment is constantly branching new realities, infinite variations on self and situation. What would you change if you could see into an alternate path in your life, how far would you go to reclaim something lost, or would you try to reclaim it at all? Pinsker gives the story an additional level of weirdness through one of the characters being the author, but the author not being the narrator. In some reality, the situation the narrator lives through is just a story dreamed up by a speculative fiction writer, and conversely, we assume in this reality where we are reading said story, the author did not actually attend a convention of her alternates selves. It’s a wonderfully written story with a compelling mystery at its heart, making it work on multiple levels – as story, as thought exercise, and as meta text about speculative fiction. Aqua Mirablis by Stephanie Chan from the debut issue of Anathema Magazine published in April, is a story about the exploration of a new world from the point of view of someone left behind. The narrator is a perfumer, working at Interstellar Flavors and Fragrances, trying to capture the imagined scents of Mars without having ever been there. You imagined the faraway dust contained trace elements of the luxurious Tabac Rouge, a musky, honey-toned fragrance that clings and spills like a hot night. Or maybe it exuded Deep Red, with its prelude of blood orange and black currant, thrumming with an undercoat of sensual sandalwood. The narrator’s former lover is on Mars, and not planning to return any time soon, threading the story with a sense of loss and isolation. The story revolves around smell and the ways scent is linked to memory. Three colonists have returned from Mars, but they are unable to remember their time there. The IFF team is tasked with trying to spark their memory through scent. The language in the story is highly evocative, describing scents and how they layer together. Chan uses scent, something fundamental, but often taken for granted, to highlight the vastness of the universe, and how unknowable even a planet as relatively close as Mars is to someone who has never been. How can you help someone remember something you’ve never experienced? Can the scent of anything on Earth be like scents on Mars? The colonists’ inability to remember furthers the sense of distance and isolation permeating the story. They can’t even bring back their experiences to bridge the gap between distant worlds. The story is lovely, but tinged with melancholy, asking whether humanity can truly explore new worlds, or if they will remain forever unknown.